I’ve had my fair shares of dating disasters. As true as it is that we all need to be ourselves, we need to understand that there are, still, certain limitations and rules on how we should be like when we are out on a date or currently dating someone. To make it light, remember: TEE --- Too much talking, Expecting too much and Ex diaries. Too much talking. Men need to be heard as well. This guy I dated back then, let’s call him Cris, told me about a girl he used to date who never stopped talking about herself. He was aware that she is one hell of an amazing girl, but she just keeps blabbering about it over and over again. The guy felt that she wasn’t really interested in him, but just wanted to impress and amaze him of how wonderful she is. Expecting too much. Cris and I dated for barely two months but our connection was PERFECT. We were almost there, but he got scared of how fast we’re falling for each other and how he was getting too attached to whatever it is that we have. We, eventually, decided to separate ways but I had no regrets. I told him how I felt, I made him feel how special he was to me and even though it didn’t work out in the end, I never got depressed because I didn’t plan too ahead of where we really are. The Ex Diaries. It is a definite no-no to talk about the exes when you are still in the sunrise phase of the relationship or compare how your ex with your current. I know this for a fact but I made this mistake with the current guy I am seeing --- Henry. Henry is unlike my ex but because of how my last relationship went, I keep giving Henry reasons about how my ex did this and that so I, still, can’t fully take the risk with him. So you can only imagine how that ended. So during a date, remember to say to yourself --- “tee”! See you next week, Erzulliestas! 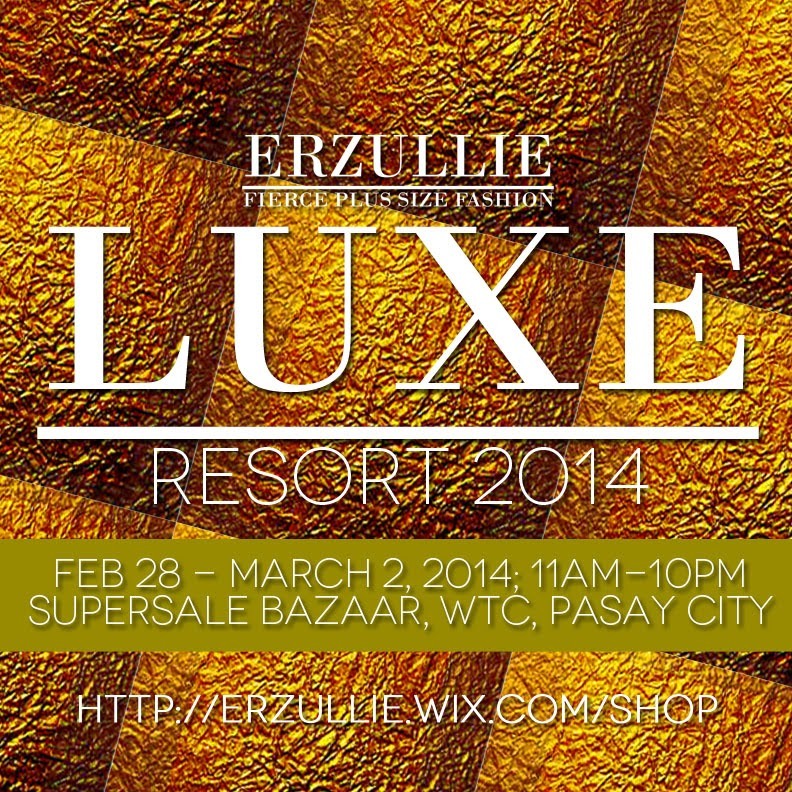 Get to shop the Resort 2014 collection first, enjoy 50% off past items and free personal shopper service at the Erzullie booth, Super Sale Bazaar, World Trade Center, Pasay City on February 28 – March 2, 2014 (11am-10pm)!